I think it's safe to throw my excitement out to the universe now- I have a Paris trip coming up in November! I've held off on saying anything until we were able to get a couple of final details hashed out. Now everything seems to have fallen into place! Joe and I are going to have a birthday combo trip to one of the most romantic cities in the world, and we are so incredibly excited! 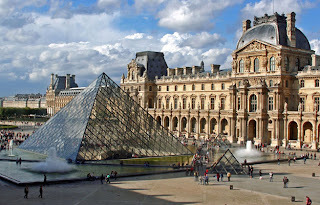 I want to spend days on end at Musee du Louvre, while Joe wants to visit Montmartre- along with a google of other sites! Traveling is really something we want to do before we settle down with children, and since we're not getting any younger here, this is something that needs to happen soon! I guess it's time to pull out that Rosetta Stone and brush up on my French! Oh buddy! It's gonna be sweet! Champagne on the lawn in front of the Eiffel Tower! Walking through the Spanish Quarter! Suh-weet! Oh you're going to have the best time. I'd be sure and sidetrack to Versailles, it's so worth it. I have been craving macarons - enjoy and look forward to hearing about it. So glad you decided to join us at TwirlandTaste. Hey! Thanks for following my blog! I decided to come over and check out your and it is amazing! You must be really excited about going to Paris. I have always wanted to go there. I will look forward to reading about your adventures in Europe! How wonderful! You will love Paris. I will try to remember to post a comment with the number and name of a very reliable taxi driver. My friend has lived in Paris for over 20 years and she will now phone this man whenever she comes to Paris. Thanks for following my blog. If I should be remiss about sending you this info on the driver, please remind me. Have fun! We are going in December. I've never been before and we are bringing our 5 year old son. 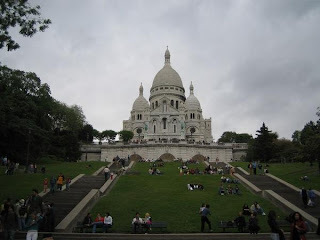 So... no, it won't be the Paris sans bebes like I have in my head, but won't it be wonderful to show my son some history! Can't wait!